This work presents a two-dimensional (2D) model employing the mesh-free smoothed particle hydrodynamics (SPH) method for accurate characterization of microdevices. The simulator was validated by comparing analytical and numerical results from literature with the cases of Poiseuille, Couette, and biphase flow in microfluidic devices. Finally, a test case using two immiscible fluids in a cross-like device with three inputs and one output was computed. This device produces droplets in a flow-focusing configuration. The simulations produced similar flows when compared with theoretical, numerical, and experimental data reported in literature. When handling two liquid phases, such as water and oil, properties such as surface tension must be taken into account. These properties can be well modeled using the continuum surface force method, commonly applied for modeling capillarity in microdevice and microliquid applications. Thus, the implementation of the SPH method demonstrated that it represents a novel and promising alternative for simulation of emulsion formation in microfluidic devices. 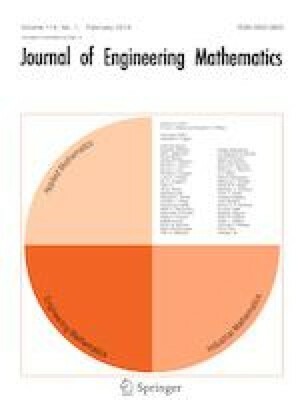 The authors are grateful to FAPESP and CNPq foundation and to Labmulti (IFGW) Unicamp for laser writing technical support, as well as to the Center for Computational Engineering and Sciences (CCES-CEPID/UNICAMP) for support of computational facilities. E.A.P.-N. is grateful to FAPESP for financial support of his PhD (process no. 2012/21090-5).